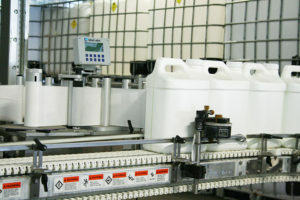 Big Bend offers a full line of agricultural packaging services for the Specialty Liquid Plant Nutritional Market. Standard packaging options include: 2 x 2.5 gallon jugs in cardboard cases, 30 and 55 gallon poly drums, and 275 gallon IBC containers. Customized requests for specialized shipping requirements will also be considered. 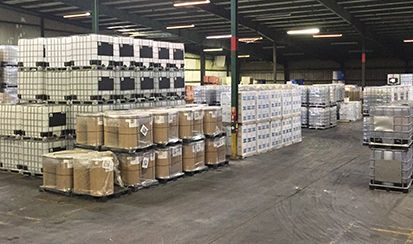 When it comes to processing your formulation and packaging your order, Big Bend’s considerable warehouse space should give you peace of mind in knowing that your processed order can be efficiently and safely staged for a successful shipment process. Extended warehousing and shipping fulfillment may be arranged with a Warehousing Agreement. For additional details about Packaging Services and Warehousing Services, please Contact Us.